Renee Mortimer is the managing partner in the Schererville office of Lewis Brisbois and is a member of the General Liability Practice. Ms. Mortimer was born in Chicago, Illinois, but grew up in northwest Indiana. She graduated from Indiana University in 1988 and then graduated from Loyola University-Chicago School of Law in 1991. 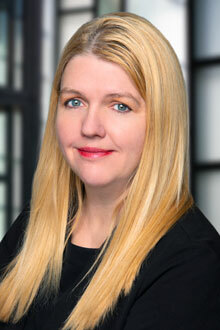 Renee practiced primarily in Chicago, and the Chicago area, until 1998, when she began handling matters primarily in Indiana for another national law firm. She was the partner in charge of that firm's Indiana operation for over 20 years, and then came to Lewis Brisbois to assist its clients in Indiana and in Illinois. Ms. Mortimer's primary practice is in handling the defense of clients in large and excess personal injury and property damage claims and lawsuits. She has tried cases to verdict in both Indiana and Illinois, and she currently handles matters in state and federal court in both states.